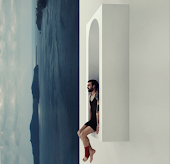 Tiromancino: Museum of Image and Sound . Diller Scofidio + Renfro. 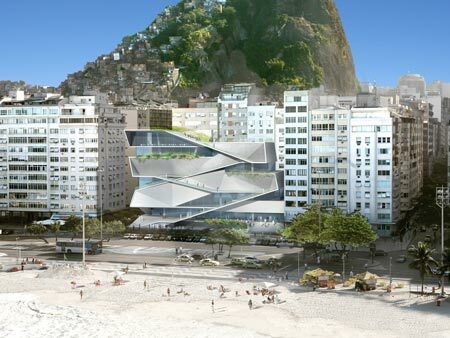 The architecture of the Museum of Image and Sound takes Copacabana Beach as its inspiration: its coastline, its wraparound building wall, its mountains, and its distinctive beach promenade designed by Roberto Burle Marx. 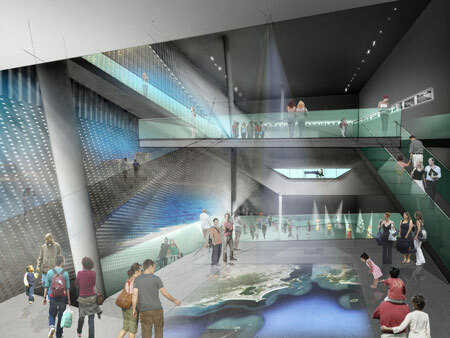 New York architects Diller Scofidio + Renfro won a competition to design the Museum of Image and Sound in Rio de Janeiro, Brazil. 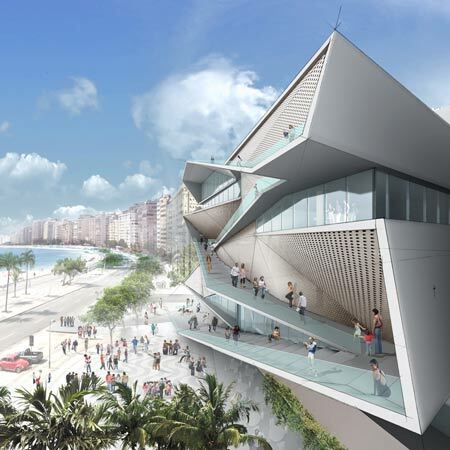 The promenade captures the key element of the beach—a space of the public in motion—on foot, bicycle and automobile. 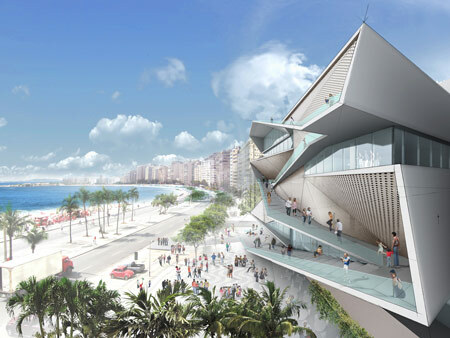 The building is conceived as an extension of that boulevard, stretched vertically into the museum. The building will include galleries, education rooms, an auditorium, a cafe, bars and restaurant, and an outdoor cinema on the roof. 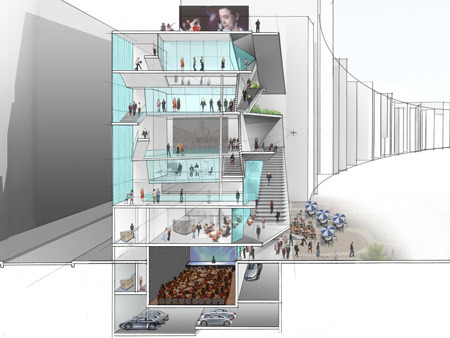 Images courtesy of Diller Scofidio + Renfro. 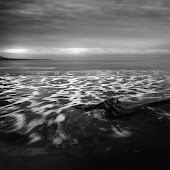 pattern using waves of black and white stone sets. 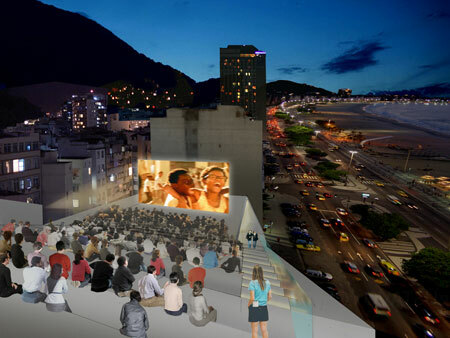 the third level, the restaurant at the sixth and outdoor cinema at the roof. The “Vertical Boulevard” gestures toward inclusiveness: it gently traverses indoor and outdoor spaces and branches to make galleries, education programs, spaces of public leisure and entertainment. from the clerestory view into the Auditorium at street level, to the elevated Terrace Bar and Cafe, the Piano Bar at the third level, the Restaurant at the sixth, and outdoor cinema at the roof. 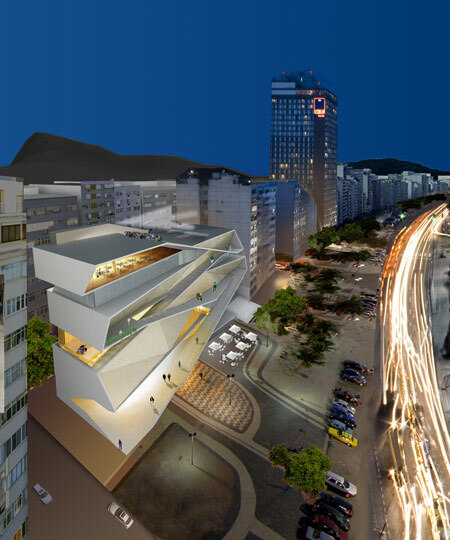 The building is also conceived as an instrument to observe the city in a new way. 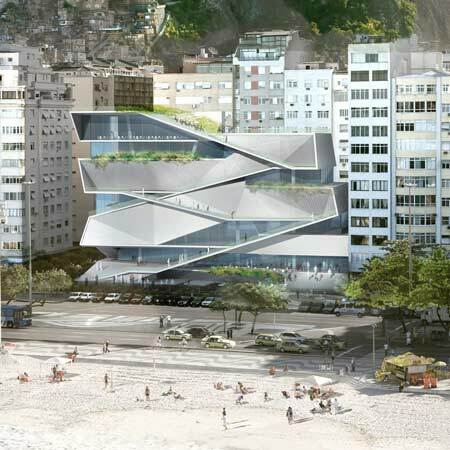 The panoramic view before it, overexposed to tourists in the hotels and restaurants of Copacabana Beach while restricted for many residents, is perhaps the central image at stake. Through framing strategies, the skin of the MIS curates this view for the visitor moving through the gallery sequence.